The music of The Slambovian Circus of Dreams has been variously described as "hillbilly-Floyd," "folk-pop," "alt-country, roots-rock," and "surreal Americana;" a clear indicator of its singularly indescribable uniqueness. Dancing freely between all existing religious and philosophical mythologies, the music is uplifting, empowering, and a lot of fun. 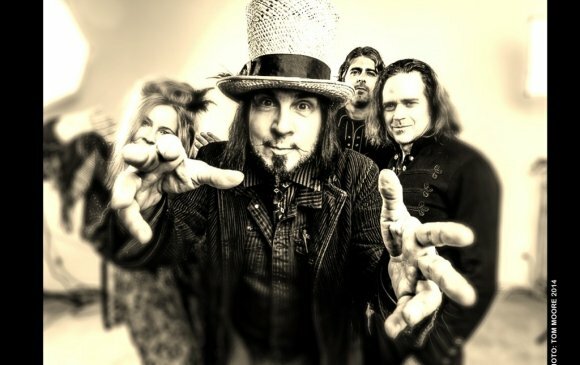 The Slambovians have drawn comparisons to Petty, The Decemberists, Dylan, and Bowie as they feature an otherworldly slide mandolin, accordion, cello and styles ranging from dusty Americana ballads to Pink Floyd-esque cinematic anthems. Frontman Joziah Longo (vocals, guitar and harmonica) has drawn praise for a voice that is "soothing and bewitching as a snake oil tonic," and "the entire root system of the Rock Family Tree is embedded in his voice," says The Big Issue UK). This band has been together since the late 1990s; they settled in Sleepy Hollow, New York, and began developing unique shows that have surprised and delighted Ark audiences every time.